La Chantal In twenty first century's fashion world, La Chantal is a new upstart designer company which comes with a short but ground breaking history. This is a UK based company and has been spreading its roots since last few years. The mastermind behind the success of La Chantal is Saba who leads of the company. La Chantal has produced marvelous results and successfully earned its name in the ma...rket as it held the fashion shows "rhythm of Asia 2010" and "montage" in November 2010. La Chantal always comes with the overwhelming and magnificent designs that leave a reminiscences impression on the audience. La Chantal's latest collection includes Bridal and Exclusive Party Wears. Saba’s strong inspiration from the rich eastern color palette clearly reflects in her latest work. All bridal dresses carry pulchritude embellishment on it that is sensibly inscribed in a conspicuous way. 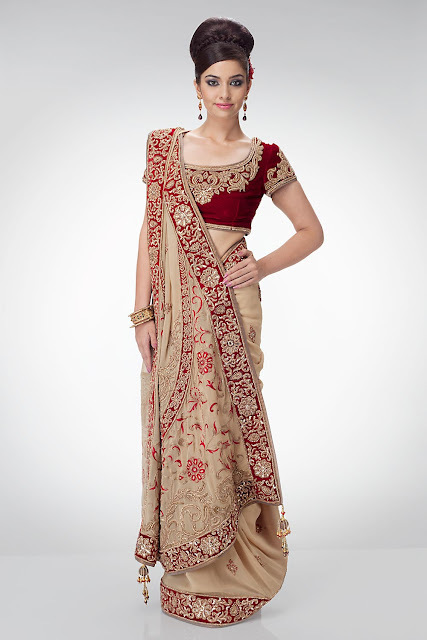 In eastern culture Bridal dress is taken as a serious matter as it serves an important part of women's life. This is clearly registered in the first look and also states La Chantal's broad vision.